Genesys Controls provides the best in industrial control systems, control panels and custom microelectronics. Our services range from system analysis and specification, to prototype, production, programming, installation, training and support. We’ll build to spec or design-build. Partner with us – we’ll deal with the control issues while you can concentrate on what you do best. Whether your optimal control solution requires a custom developed embedded controller or integrated component-based system, we’ll work with you to define, develop and deliver a product that exceeds your expectations. In optimizing the performance of your equipment or processes you’ll realize increased revenues, reliability and improved customer satisfaction. Prudent investment in control engineered integration has been proven to yield long-term profits to you. Unlike typical panel shops, we are an engineering driven system integrator. This ‘Engineering First’ mentality influences everything that we do – right down to the shop floor. As a result, our clients have come to rely on our systems’ performance. They count on our error-free assembly and 100% functional testing, and our expert assistance during installation virtually guarantees a trouble-free startup. Let us apply our 100+ years of cumulative experience to your next control challenge. We will exceed your expectations on price, performance and delivery – guaranteed! We provide everything you need to get your next project from idea to finished product smoothly and efficiently. Genesys Controls’ extensive process engineering experience allows us to offer total turnkey automation packages including detailed electrical drawings, PLC & HMI programming, instrument wiring, calibration and verification – providing a complete automated control system that is cost effective, and easy to maintain. 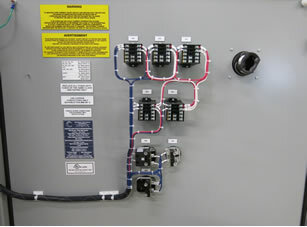 We provide the best in industrial control panels. We combine technical superiority and quality craftsmanship to achieve maximum machine and process performance at superior value to our customers. 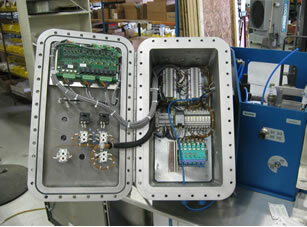 Oftentimes, due to space, access and/or aesthetic reasons stock enclosures are not suitable for a given application. Genesys’ skilled sheet metal craftsmen are known for their custom enclosures and consoles. Provide us with your P&ID and we will begin the project with your operational requirements. We will approach the design using scalable and modular methods in order to offer a flexible solution providing cost efficiency for future builds and options for your customers. We are 100% committed to supplying quality, cost effective electronic products and designs to our customers. Whether updating an existing product, building to print, or creating a brand new product, we respond to a wide variety of customer requirements. We provide many control system solutions that can be used in almost any application that you need. Producing more in less time has become increasingly important in today’s manufacturing standards. 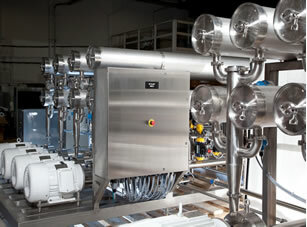 Our high-speed production systems increase production speed and efficiency while maintaining accuracy and quality. We design and create complete data systems that compile all the information you need. From designing controls on the actual machines to creating custom software to read and analyze the data, we have a solution. Moving, protecting, storing and controlling materials and products in the manufacturing and distribution process can be costly, time-consuming, and sometimes dangerous for workers. We design solutions that make the entire process more efficient and cost-effective. Our expertise encompasses simple machine controls to complex systems with precision motion control, variable frequency drives, and servo motors. Whether it is a new machine, or upgrade to an existing machine, we can engineer the best solution for your needs. Connecting your central control system to remote sites makes it easier to monitor, control and manage operations at the site location without wasting time sending workers to collect data or flip a switch. Our manufacturing advantage is utilizing our in-house electronic design experience, formal documentation, material procurement and production verification and testing to manufacture a better product. We take on all of the design, acquisition of components and testing so you don’t have to. At Genesys Controls Corporation, we offer innovative, cost-effective solutions and products to our customers. From system analysis and specification, to prototype, production, programming, installation, training and support, our dedicated and professional staff of engineers work closely with our customers from project origin through installation. We deliver total customer satisfaction through technical expertise, craftsmanship and uncompromising quality. We evaluate the applications requirements, parameters and constraints. We then provide a detailed proposal of the control solution to be developed. If required, a proof of concept model is built to verify the design. Once approved and following the receipt of materials, your control panel is manufactured by our highly skilled craftsmen. We design and code custom PLC and PC software to be implemented in your control system. Our engineers provide expert assistance during the installation phase of the equipment. We thoroughly train your operators on all operational aspects of the system. We’re a phone call away to answer an questions with quick access to your project files on our secure server. 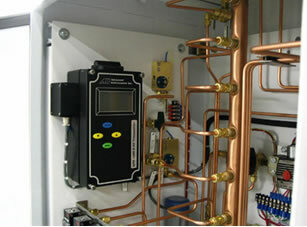 We are able to manufacture and develop control systems and panels for almost any industry. Browse the separate galleries below by clicking on the headings.